First of all, I was on the planning committee for the 10th. I was pregnant. I volunteered because I still lived in the area. We hired a reunion company. The way a reunion company works is this: they put up the money needed to hold the event. This money covers labor, tracking down and inviting classmates, signing contracts with venues and vendors. What determines the final cost of tickets is the number in attendance. The more that attend, the less the tickets cost. Simple math. I remember asking classmates where they wanted the venue: a hotel near the city where our proms were usually held, or the local fire station–a place where I had my 300+ wedding reception and where I know some classmates also had their wedding receptions. But all those people who wanted a fancy place, did not realize fancy = $$$. I think maybe 80 people came. We’re a class of 500+. I can understand that 10 years after high school some were still thinking and acting like they were in high school and many were only 5 or 6 years into their careers and therefore money can be tight. With this economy money is tight 20 years later. So the call was put out for suggestions and volunteers. It was generally decided that the reunion companies are not worth the money and we needed to find ways to keep the costs down. We would try word of mouth. Oh, everyone had fabulous ideas and knew a guy who knows a guy who owns a bar. Seriously? And who was going to put up the money for a contract like that? A suggestion was made that we “have a family friendly picnic event at a local park and it be potluck.” Sure, let me fly across country with my family and I’ll pack potato salad in my carry-on luggage. So a venue was found and one person was willing to sign the contract as long as within three weeks she would be paid back. A call went out for people to front the money with the knowledge their payment would go toward their tickets. The organizers felt they could get the tickets down to $80. Only 27 people of had purchased tickets as of three weeks ago. Suddenly complainers were coming out of the woodwork, bashing the organizers and complaining about the cost of tickets. Again, no one realizes that the more people who attend, the less the tickets will cost. People were complaining that classmates they speak to didn’t know about the reunion–what part of word of mouth is hard to understand? Each of us were asked to spread the word. The temper tantrums and blatant attacks on the reunion FB page shows that many have not left high school. And I think that is why everyone is balking at the price tag. I didn’t go to either of my proms and the one I went to my date purchased the tickets. But weren’t prom tickets usually about $35 a couple? This is because they are guaranteed anywhere from 100-200 couples. Guaranteed. Not to mention the fundraising that goes on from the start of freshman year. AND mom and dad usually bought the tickets and the gowns and rented the tuxes. So if we’re still thinking and acting like high schoolers, $80 for one person is going to seem like a ginormous expense. Incidentally, myself and one other person suggested the fire station again. No one else liked the idea. If that idea had been taken seriously, we’d still be having a reunion. A proper reunion. You see, the committee has thrown in the towel with all the abuse and the dismal numbers of those who have purchased tickets. The reunion has been canceled and we’re back to “I know a guy who knows a guy who owns a bar and we can all just meet up there, each person paying their own way.” Hmm… I don’t drink but I know people who can rack up quite a bar tab … and depending on what you order to eat, if you so choose to eat at the bar … well I can see paying upwards of $80 a couple. So that’s at least $80 for two people instead of per person at the fancier venue. And you sacrifice not being able to hear yourself talking to your long-lost friend and sharing the space with the general public. I don’t plan on attending. I just want my deposit back. It’s not worth it. Now I don’t know the financial situation of others. I just think no one is being realistic. It is such a skewed sense of cost vs. value. (And, seriously, I’m not surprised because I have classmates who would like to have their student loans–for second degrees in fields that will actually get them a job because their first degrees that were paid for by mom and dad were in theater, music, and psychology and couldn’t get jobs to save their lives–forgiven because life is just so unfair…) BTW, I’m not just irked about this reunion–I’ve recently had a scout “value” issue too. I can’t believe people expect prom ticket prices–the only way that would happen is if you could get all 500 class members to attend with their spouses but no one will commit without having a final cost and you can’t get a final cost until you get a final head count. It is so circular and juvenile. I’ve posted that recently I realized I was only wearing band-aids that covered up some old, some new, festering wounds. I thought band-aids were good; in some ways they were as they helped me put one foot in front of the other. But I am realizing I need to cauterise this wound to put it behind me. What that entails, I don’t know. I’m just beginning to look at what “closure” would mean, what the costs would be, and could I live with the consequences. He’s right. I came to the conclusion that perhaps I didn’t ask for the right thing, being just fine with band-aids. Now that I have asked more boldly for healing I’m doing a good job of resisting. There are so many unsaid words. I’m not sure what I’d say–I’ve just begun looking at this. But today, I’m anxious as I learned the one person I probably need the most closure with is not in good health. Would I have the strength to accept those unspoken words if that is the only closure I am afforded? Would I be able to accept the consequences of putting my faith in the band-aids rather than in God? I know the band-aids came from God but He wants so much more for and from me. He’s always wanted me to take the total healing He offers … I’ve just gotten really good at resisting what was right in front of me. The Chief sent this to me and his brother with the note that Kings Point may actually get two new ships once the dock refurbishment is complete. It is over 53 minutes long. I’ve said in the past, the Chief is a bit more optimistic than me. I hope this is good news for USMMA. 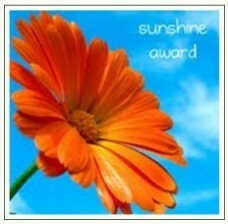 I have been nominated for the Sunshine Award, thanks to Bird. Thank you! The Sunshine Award comes with a few rules. 2. Answer some questions about yourself (or post 5 random things about yourself). 3. Nominate some other bloggers that you love. 1. If I had a theme song, it would be Wonder, by Natalie Merchant. 3. I do not drink coffee. Cannot stand the stuff though I understand it is a daily fuel source for many. I really don’t even enjoy the smell. 4. When I was T1’s soccer coach by default (“Coach or no one plays.” Nice. Thanks, P&R.) she used to slip me notes that read, “Please stop coaching.” Actually I think these came when I was just assisting. Imagine her surprise when I became head coach. Rain Into Rainbows: I really need to visit her more often. What is more sunshiny than rainbows? We all need rainbows. Her recent Five Minute Friday with The Gypsy Mama was all about keeping it REAL. Thanks for keeping it real. Reasons to Hope: for this person, I’d change it to “sonshine” award. Jerri has always demonstrated the Son’s love and light through her blogs. Thank you, Jerri. I’ve seen a preview of a new blog that will take a young man (this side of 40! HA!) through “Life’s Little Instruction Book.” Once it is launched it will definitely be worth of a Sunshine Award. The person who nominated me, Bird, has been so supportive of me–even before my recent “speed bump.” This award nomination came in early April. She’s been a follower and frequent commentator. I’ve enjoyed her blog and have communicated with her over her posts about the truthfulness and openness of her posts, what she herself is going through, and the inspiration she provides by sharing so honestly, no holds barred. She is a fantastic writer and so entertaining. Thank you again for giving me this ray of sunshine just before the clouds rolled in. You deserve each and every one of the awards you’re being given. I see a book and a talk show in your future! And I want an autographed copy–personalized of course! You are currently browsing the snipewife blog archives for June, 2012.